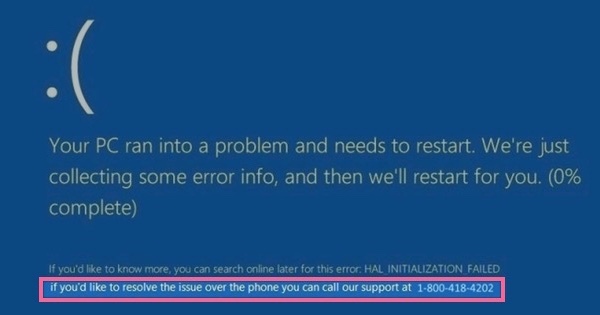 This message, and one’s similar, are intended to scare users and force them into acting promptly by calling the toll-free number listed in the alert to fix the issue identified. The problem is, these alerts are completely fake. There is nothing wrong with the computer, therefore there is no need to fix anything. But how does it worm its way onto a computer? Scammers have succeeded in getting an advertisement or pop-up into a user’s browser, probably during a freeware download, which will generate the above alert. Once the fake virus shows up on the computer, the browser appears to be locked. In addition, a voice over may come over your speakers. Below is a recording we’ve been able to obtain of these voice overs. Just image you’re in a work environment and that comes over your computer. Embarrassing, and highly concerning. 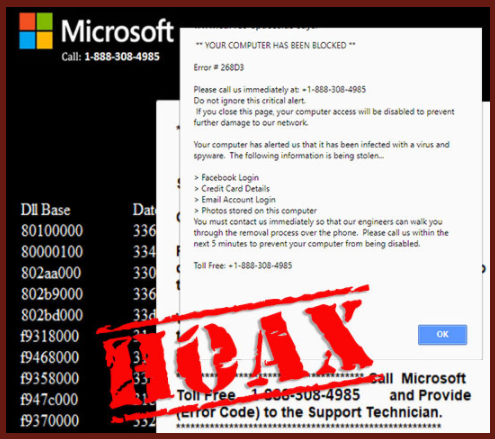 By including this voice over, victims are increasingly likely to call the number listed to get the fake virus removed. In order to install these applications, or “fix” the device, they will request authorization to remotely access the computer. Using remote access, these experienced scammers can misrepresent normal system output as signs of problems. It’s nothing but a scam to get your money, credit card information and access to your computer. This is not the only bogus virus scam going around. Additional fraudulent alerts include phone and email scams. This includes hackers calling a user saying their antivirus solution is going out of business and the caller needs the user’s payment information to send a “credit”. Hackers have also called users claiming that they have been over billed for services, and were making arrangements for a “refund”; however, they need the payment information to issue said “refund”. Another example are emails promising refunds to users of various programs. An example of a scam email that has been sent out can be seen below. Our team also went through the process of helping users identify these scams here. Another, includes a fake blue screen of death (BSoD) screen, like what is shown below. These are just a few examples of the scams that users are falling victim too, but these are the top execution methods to be aware of. If you’re ever questioning the refund or offer — ask for the person’s name and tell them you will call them back. Contact the company, via their support options listed on their original website, to confirm what you were told by the original caller. Keep in mind, these scammers are going to push for your account information. They don’t want you calling back, they want you to fall for the bogus scam. Therefore, they’re going to urge you not to call back, and to give them your information now. If it’s a legit company — they won’t care if you call back, your refund will still be there. 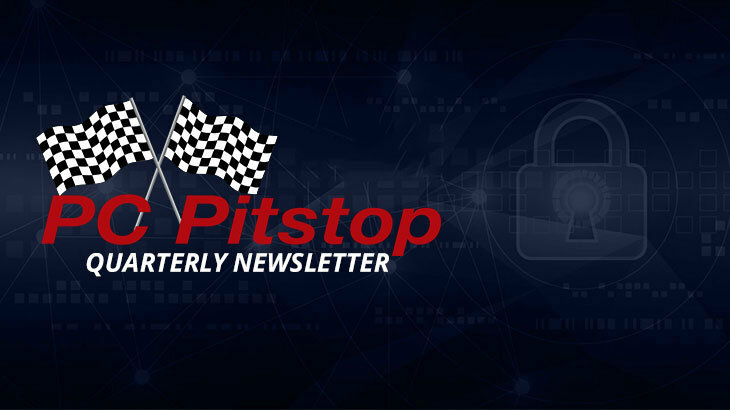 Q2 2018 Newsletter, Research, tips fake virus scam, scams, tech support scams. permalink. Unfortunately, this time both my Edge browser and Firefox not only have the message with associated audio tracks, they continue to appear even after rebooting. I do use PCMatic and am confused as to what to do. Any ideas? I am running PC Matic now on my old mans computer because of this Alert virus. Should that take care of it? Nothing shows up in Task manager for me to end task. If any malware needs to be cleaned up the scan will take care of it. However, these ‘alert viruses’ are always just keeping your browser stuck to try and get you to call the number. Using task manager can help you force the browser to close if it is trying to lock your screen down. Once you close the browser you should be able to reopen it with no issue. If you need further assistance our support team is available at http://www.pcmatic.com/help! I believe I was infected by a fake virus. I then connected a group that I believed to be PC Matic. I had someone look at my computer they uninstall PC Matic. I have always wondered if there is any reverse program one could send to these scammers to shut down their system purposely versus trying to get information as to their address and contact information to start legal small claims court action (of course since they are usually international, international small claims court action [if there is such a thing]). I have also received calls on my telephone urgently directing me to call a number because I am “being hacked at this time”. It just so happens when I received this call the first time the computer was unplugged(due to electrical storms in my area), no power, no internet connection, so hacking was pretty much impossible at that particular time. Obviously a scam. I’ve had these rear their ugly heads on a number of occasions. They seem to be widespread in the Android world as well as the PC environment. Usually from “Clickbait” sites ads. I learned a long time ago to just force close the browser and avoid those sites. However during the fake Alert, sometimes the computer is so locked up that even the Control+Alt+Delete Keys will not respond and you either have to hold the Power Button down for about 10 seconds to shut the computer off and if that does not work, then you have to unplug the power cord, wait 20 seconds, plug the power cord back in and restart the computer.